Antonia Colibasanu is a researcher working for Geopolitical Futures, a global analysis company founded by George Friedman. The European Union structurally lacks the agility to deal with crises the same way that the US does. Its institutional architecture was built to accompany and facilitate national decision-making processes and support the integration of member states’ markets. The governance of national affairs has never been delegated to Brussels, even if the member states agreed to implement regulations proposed by EU bodies. EU bodies also ensure that the rules agreed to by member states are respected, so that the bloc’s overall stability and development is protected. In times of growth, this system works. In times of economic difficulty, this system hampers states’ ability to react efficiently. This week, the ministers of finance of the EU’s member states endorsed the findings of the European Commission that Spain and Portugal have failed to meet EU fiscal rules. They have called for the Commission to deliberate on sanctions against the two states. The budget deficits of Spain and Portugal are above the 3 percent target, established by the Stability and Growth Pact. France is also above the target and its minister of finance said after the meeting of the Eurogroup (an informal body made up of eurozone ministers) on July 11 that Portugal doesn’t deserve penalties. In fact, both Portugal and Spain have the chance to convince the Commission during the next 10 days that fines should be minimal or even cancelled. The Commission has 20 days to prepare its recommendation on sanctions and submit this to the Council of Ministers so that it can make a decision on whether the two countries should be fined. Decisions made by Council require a qualified majority: 55 percent of member states voting in favour of the proposal (16 out of 28) and the proposal must be supported by member states representing at least 65 percent of the total EU population. So, it will be another month until a decision is made. 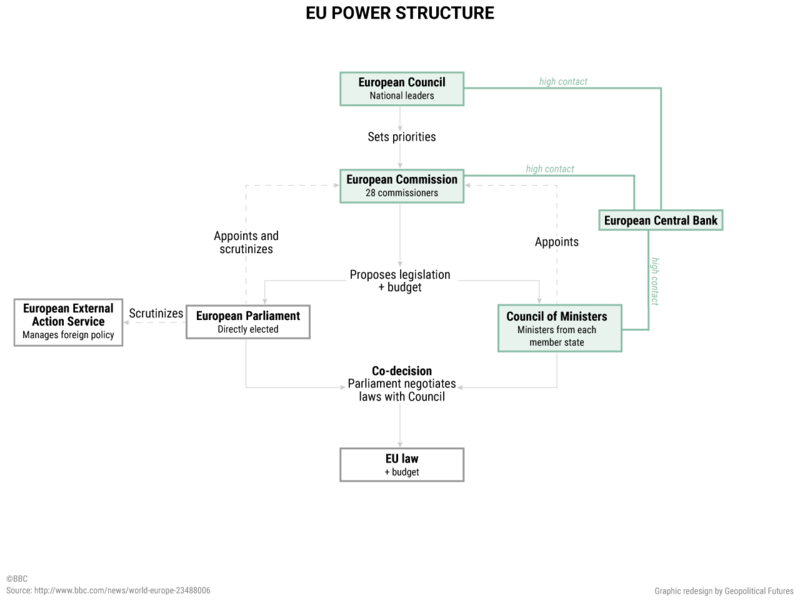 While this process is familiar to most public servants who deal with Brussels on a daily basis, it is less familiar to average citizens and the business community – who usually sees it as overly complex. Moreover, the rules as well as the decision-making processes within the EU have changed, with enlargement and the EU’s evolution. For example, Maastricht introduced the Stability and Growth Pact and the Lisbon Treaty introduced the qualified majority rule, along with other political regulations. While such regulations were less important for businesses before 2008, their importance has risen in the last eight years. The financial crisis not only forced the EU to adapt, albeit slowly, and invent new crisis management procedures, but also increased public interest in the way the EU handles crises. The way national governments and Brussels have dealt with the economic crisis has boosted or diminished public trust in the EU, depending on how particular issues were addressed. The banking sector stands at the core of the EU crisis. This sector has seen a lot of changes since 2008, as the EU has pursued a number of initiatives to create a more stable financial sector for the single market. The EU has issued a single rulebook for all financial actors in the 28 member states. As the financial crisis evolved and turned into the eurozone debt crisis, the EU also saw the need to support deeper integration of banking systems through the formation of the banking union. 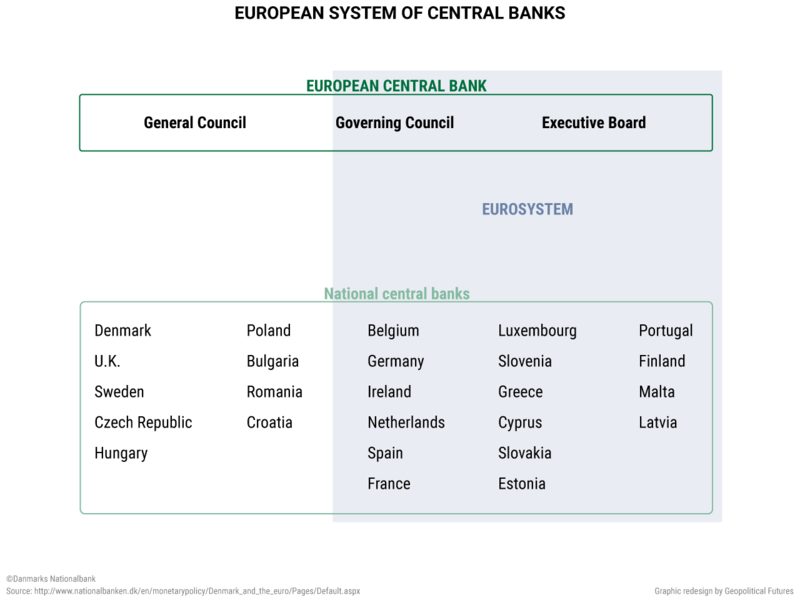 Until 2008, the European Central Bank mainly defined and implemented the eurozone monetary policy. Since then, its supervisory function over the banking system has grown. It has increased contact with other EU institutions, particularly the European Commission and the European Council in order to ensure financial stability. 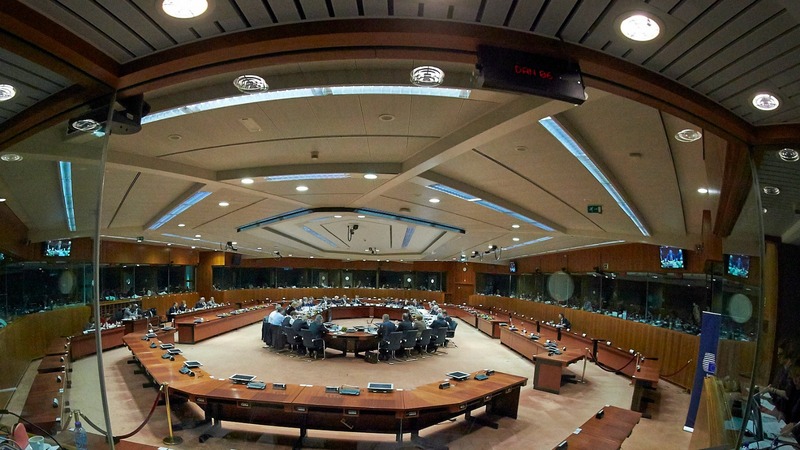 The Eurogroup was meant to increase coordination between political decision-makers but in truth, the European Central Bank (ECB) and the Commission have gained more power to deal with the eurozone’s financial problems, at least in the short term, when a crisis hits. The Italian banking crisis has the potential to test the resolution procedure that the ECB designed. Italy is currently negotiating with the European Commission to get permission to inject money into its weakest national lenders. While reports from Brussels indicate that an agreement is in works, it is notable that the bail-in strategy applied in the 2012 Cypriot banking crisis seems to be preferred to the banking union rules, which were designed to avoid another crisis like the one in Cyprus. This proves once more that the EU didn’t move fast enough to implement a crisis management strategy. The decision-making procedures have been designed so that decisions on cases can be made rapidly. Moreover, current regulations state, “If the viability of a bank is deemed at risk, the ECB as single supervisor will supervise the early intervention in coordination with the Single Resolution Board and the relevant resolution authorities.” In theory, with no Italian state aid approved by the Commission and the Italian banking situation deteriorating, the Commission can work with the Single Resolution Board and adopt a resolution scheme in less than two days. They will have to use the capital held in the Single Resolution Fund. The only problem is that the fund was only set up in January 2016 and while it should be able to cover any future crisis in the banking union (the fund’s target is 1 percent of covered deposits in the banking union), its current size is unknown. Which gets us back to member states’ negotiations over how to deal with a new systemic crisis, since the banking union’s scheme cannot be implemented. From a regulatory perspective, the EU is facing several key problems. First, it has evolved without developing crisis management tools or processes, which has slowed down the EU’s response to challenges since 2008. Second, the huge Brussels administration has become more complex – the regulations Brussels issues are hard to understand for average citizens and the business community. This has resulted in increased resistance, making it even harder for the national governments to support implementation of Brussels recommendations. This has also made the EU regulatory bodies inefficient when dealing with problems, which has led to a regional approach to specific problems. For example, eurozone members ignore non-eurozone members when setting up the banking union rules, and the founding members’ representatives held a separate meeting to discuss how to deal with Brexit. The effects of the Italian banking crisis will go beyond the eurozone, considering the operations of the Italian banks in the non-eurozone countries. Taking into account the challenges that Brexit poses to the EU, a banking crisis is likely to increase uncertainty throughout the Continent. Depending on its resolution, such a crisis will likely fuel populist movements that advocate for an increase in member states’ powers.